Prayer can transform your family. Many people see the importance of praying for their family, but don’t know what to say. 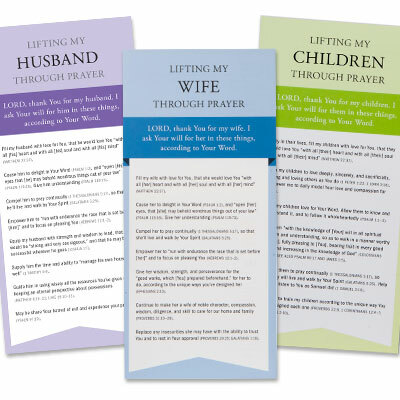 These easy to use prayer cards will guide you as you pray for your spouse, your kids, and yourself. The cards include specific prayers to God and Bible verses that show how each prayer is rooted in Scripture and help teach you how to pray. How to pray for your husband. How to pray for your wife. How to pray for your children.